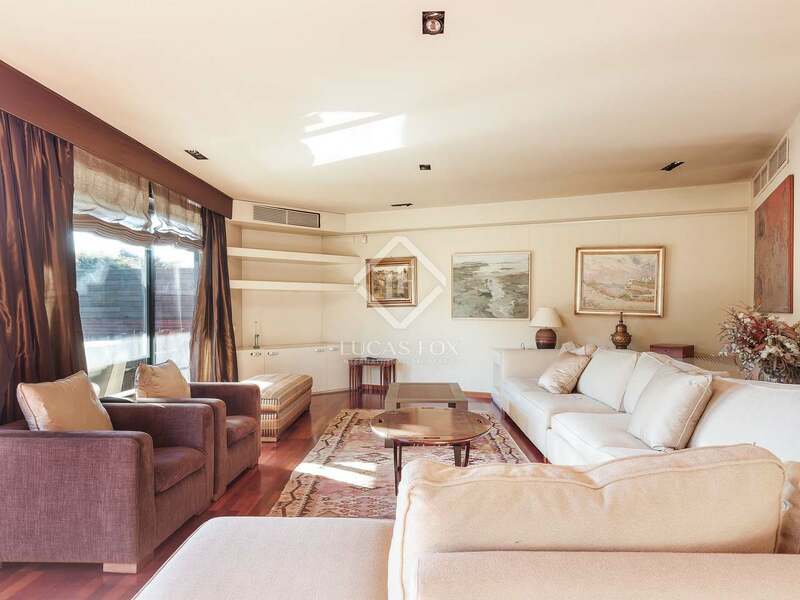 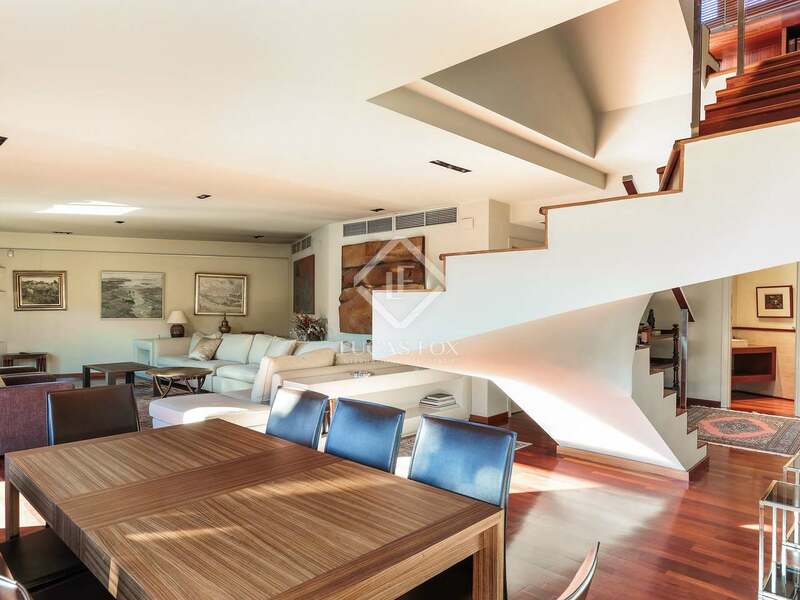 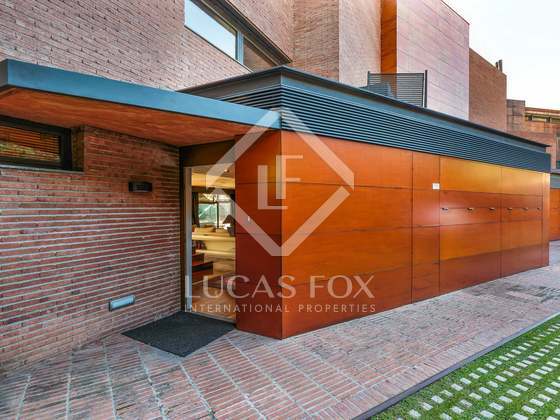 This fabulous 3-storey 5-bedroom property is located in a sought-after residential area of the Zona Alta. 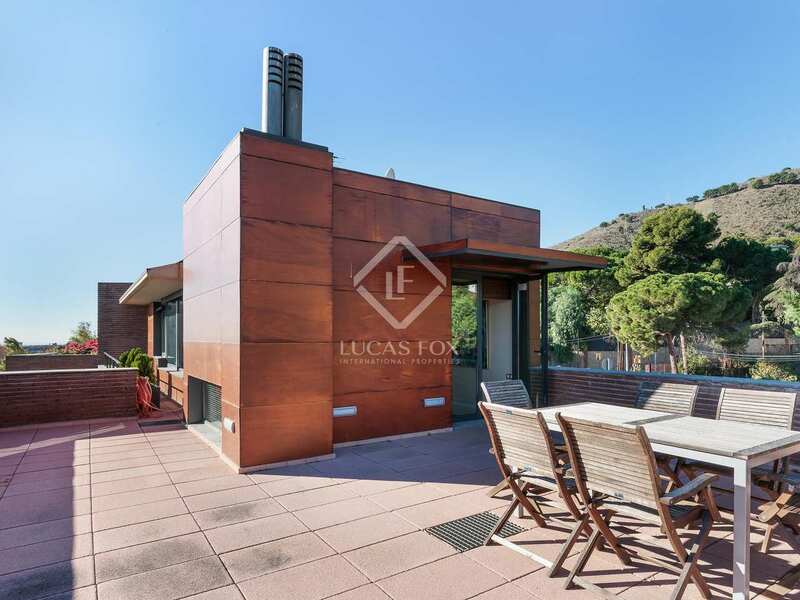 It offers lots of light and beautiful views over Barcelona and the Mediterranean. 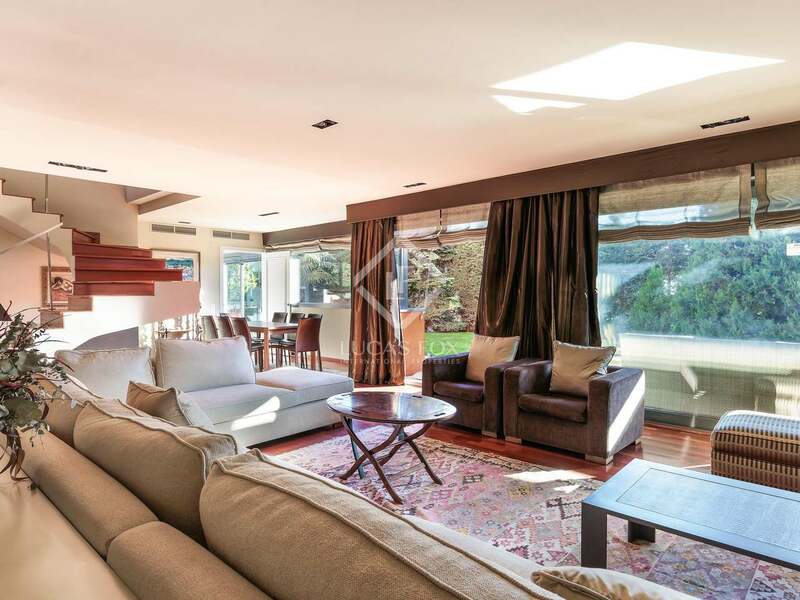 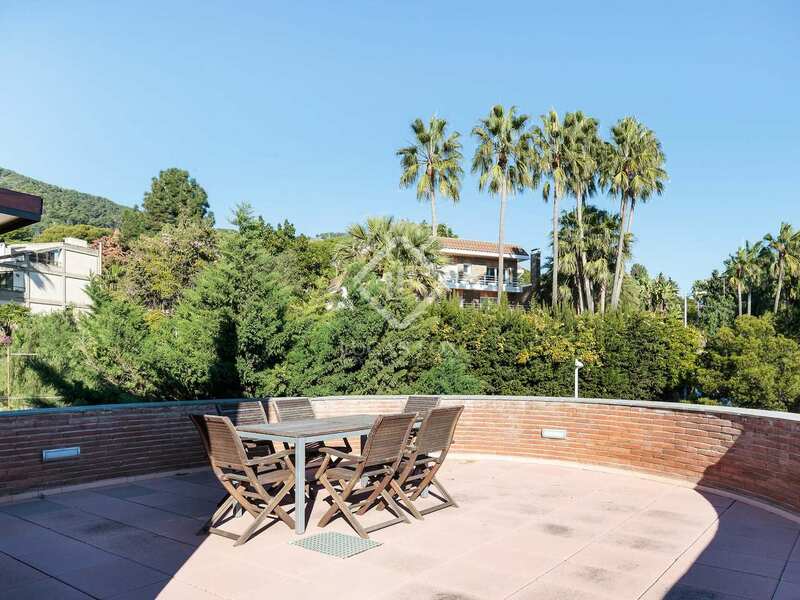 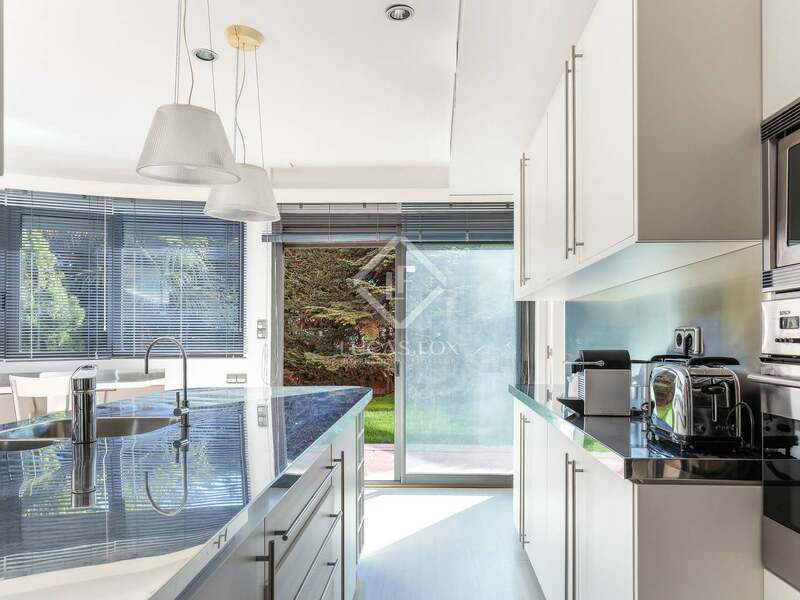 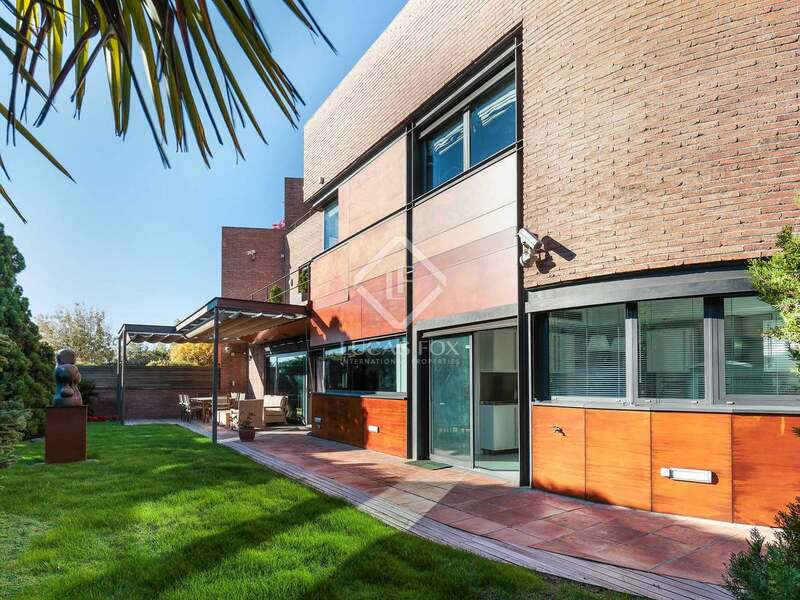 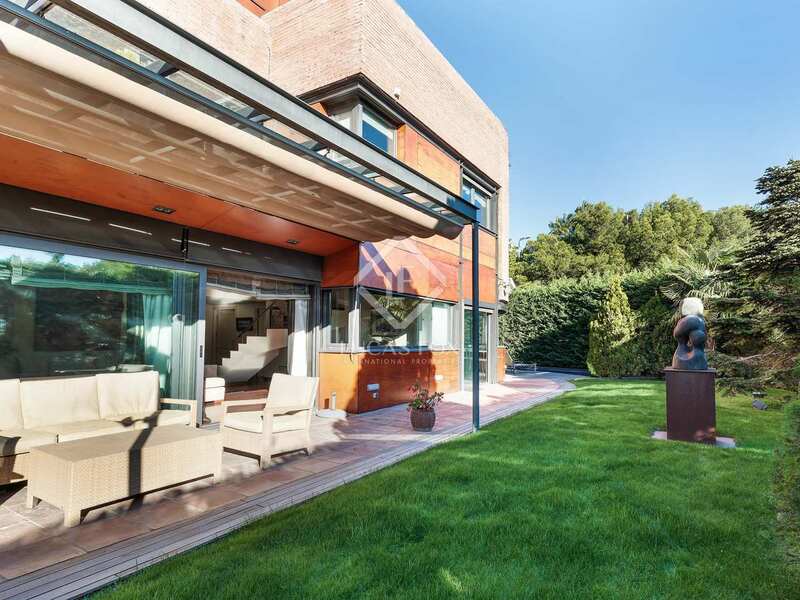 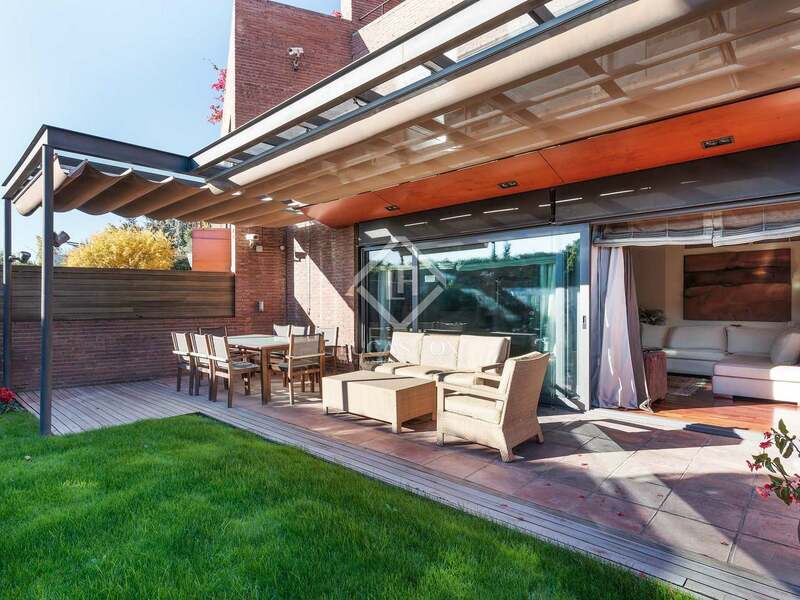 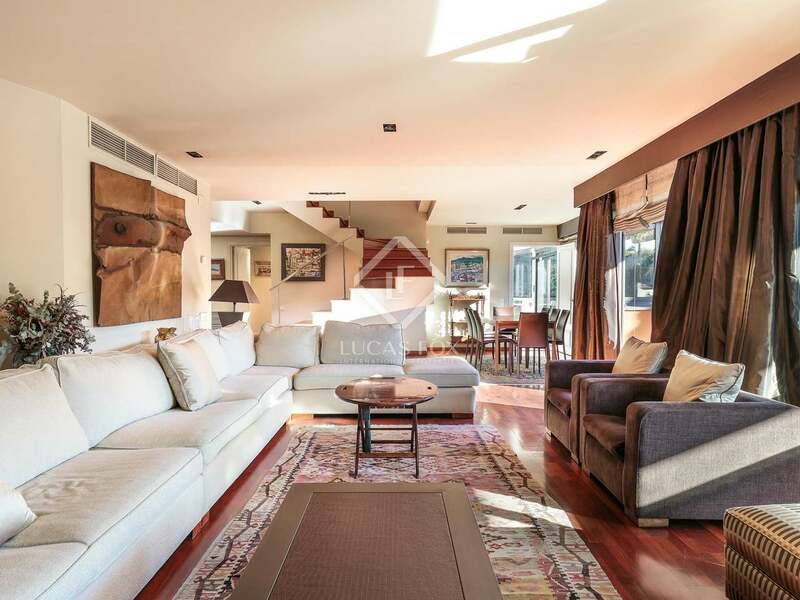 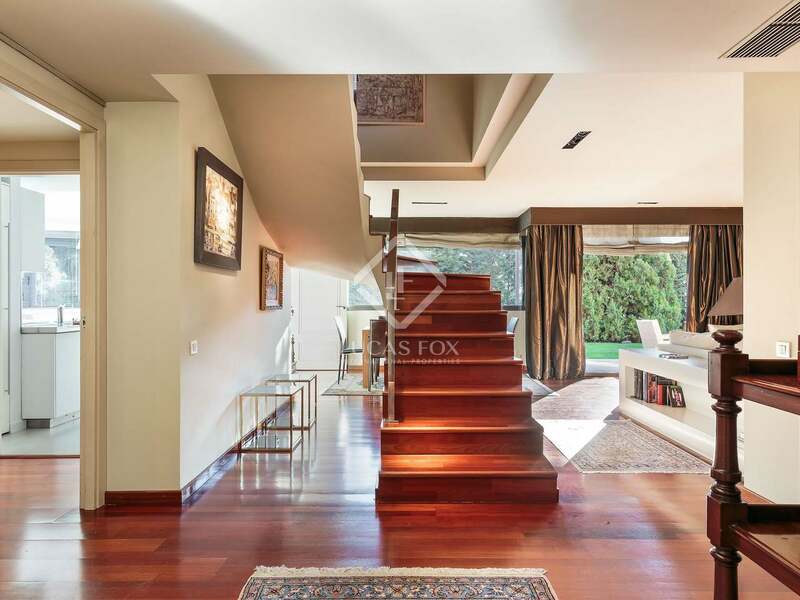 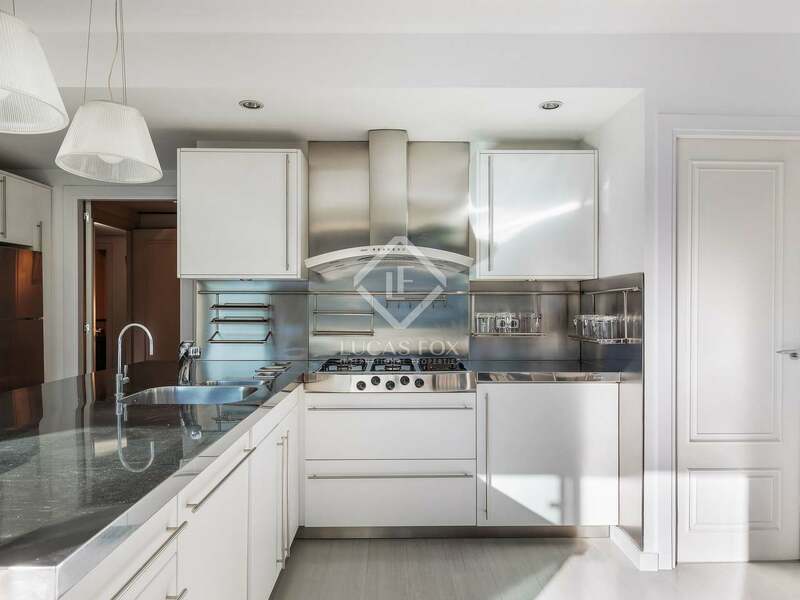 This contemporary family property for sale is situated in a secluded location in the desirable Pedralbes area of Barcelona. 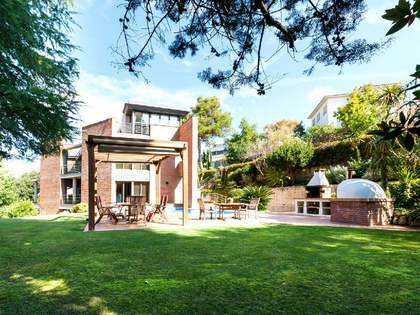 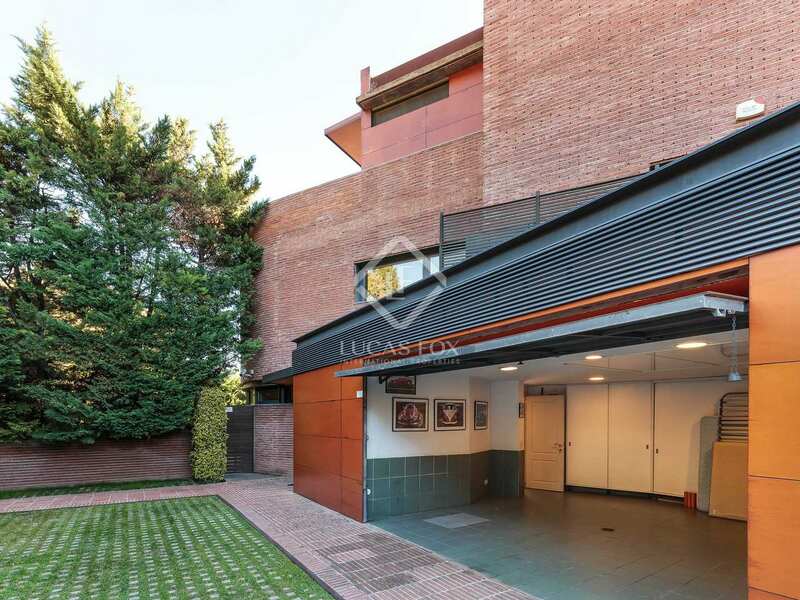 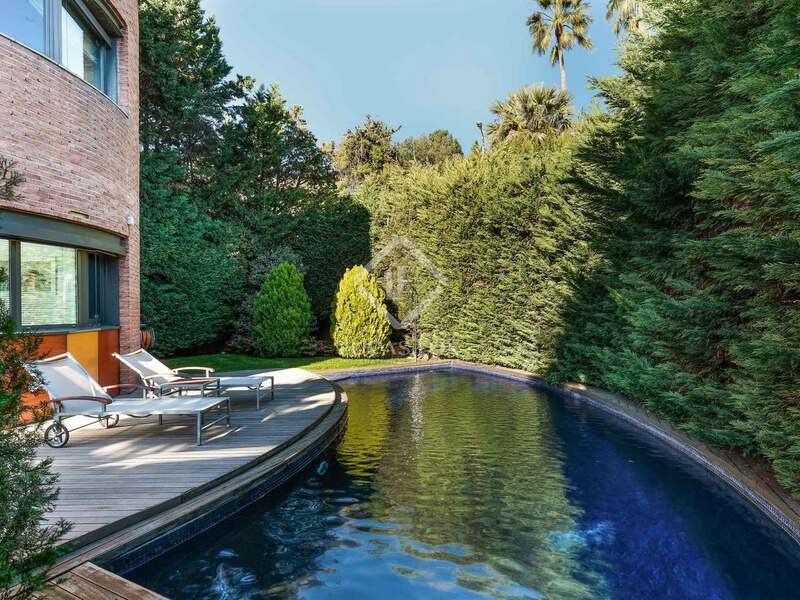 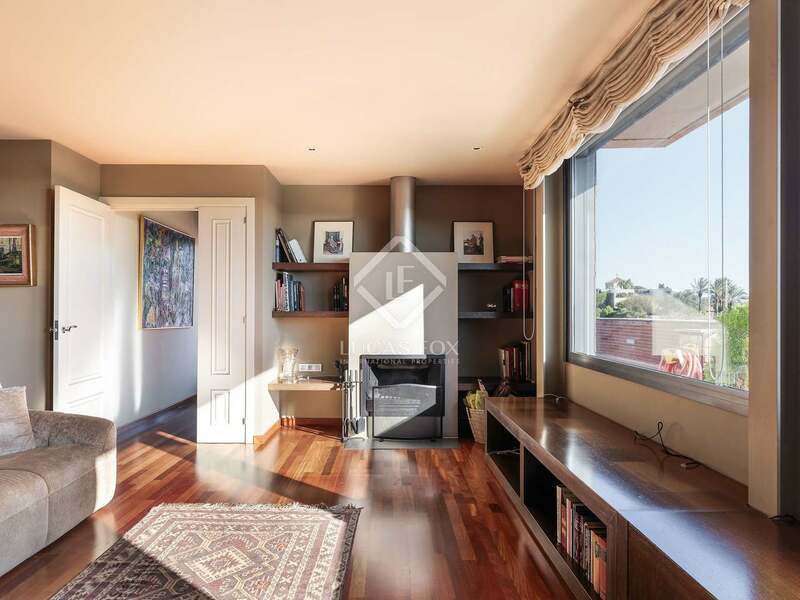 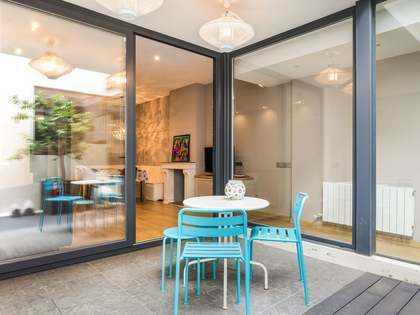 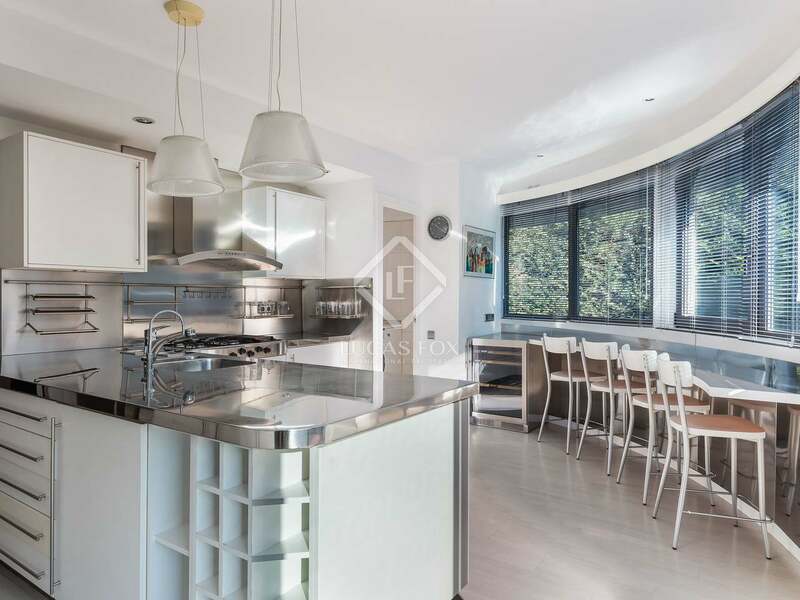 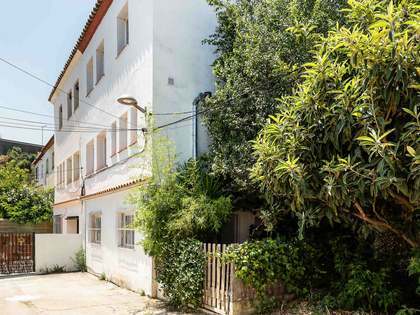 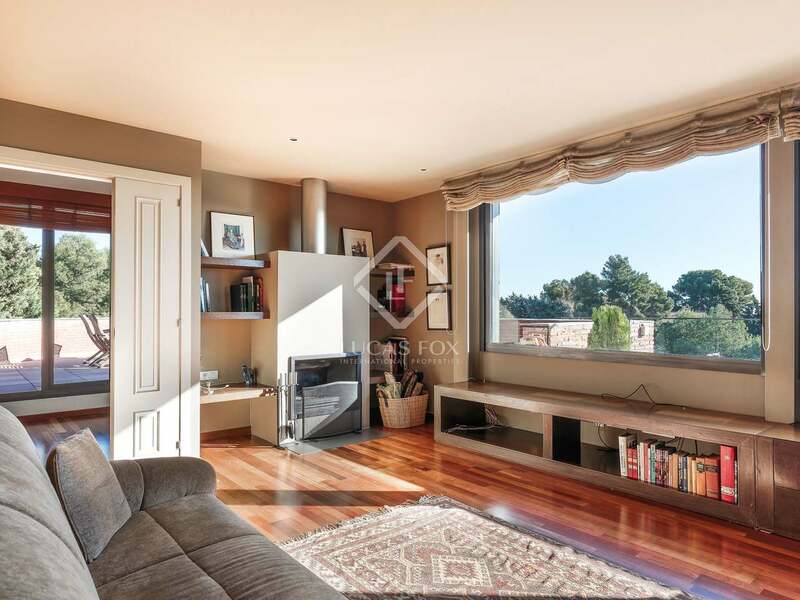 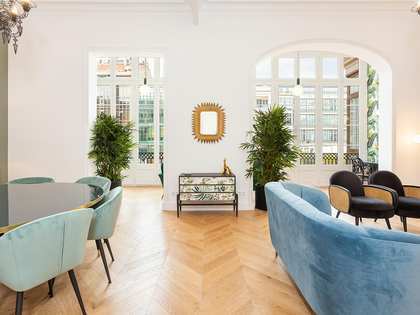 Built in 2001, the house comes with a large garden, swimming pool and is within walking distance of some of the best international schools in Barcelona. 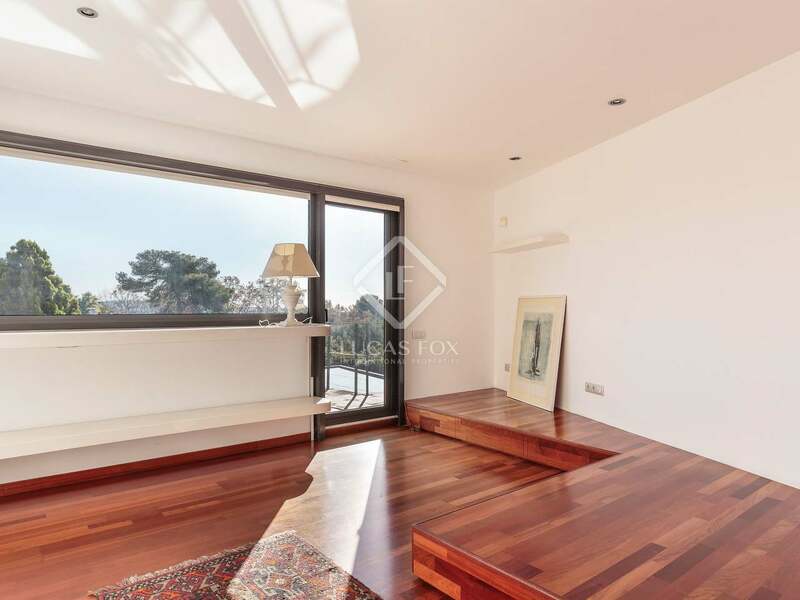 The property is distributed over 3 floors and comprises of 5 bedrooms (including a guest room), 5 bathrooms, kitchen, living area, utility room and a roof terrace boasting spectacular views of the city and sea. 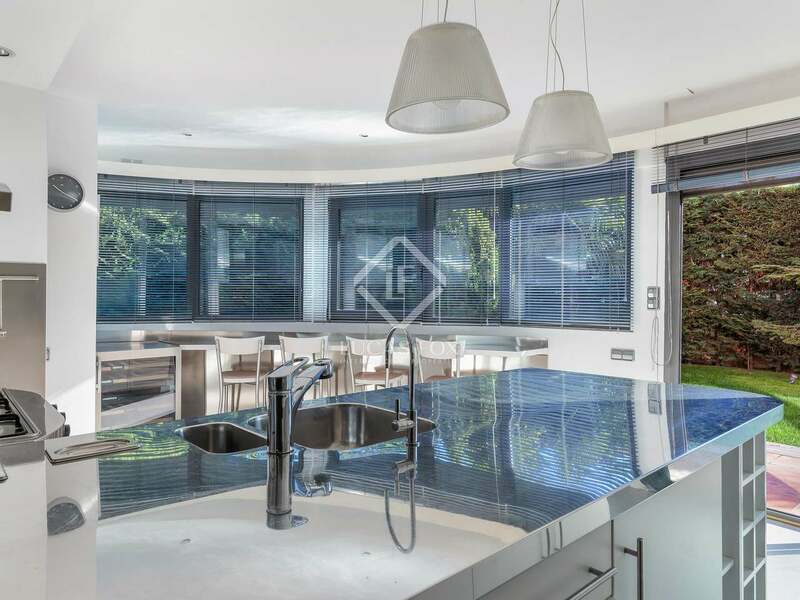 On entering the property we find the day area, which is made up of a spacious living-dining room with access to the garden with a swimming pool, a large kitchen and a guest area with a en-suite bedroom and guest bathroom. 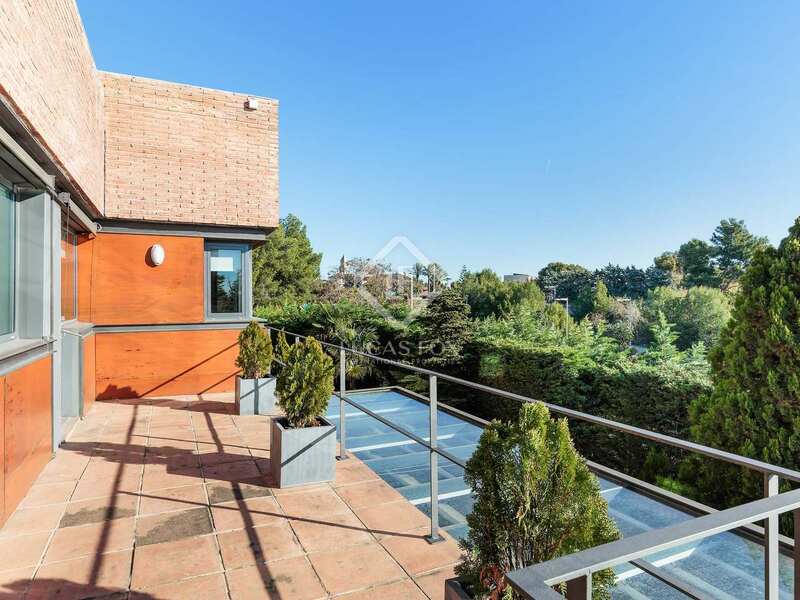 On the first floor are 3 bedrooms, 2 of which are en-suite, dressing room and access to a terrace. 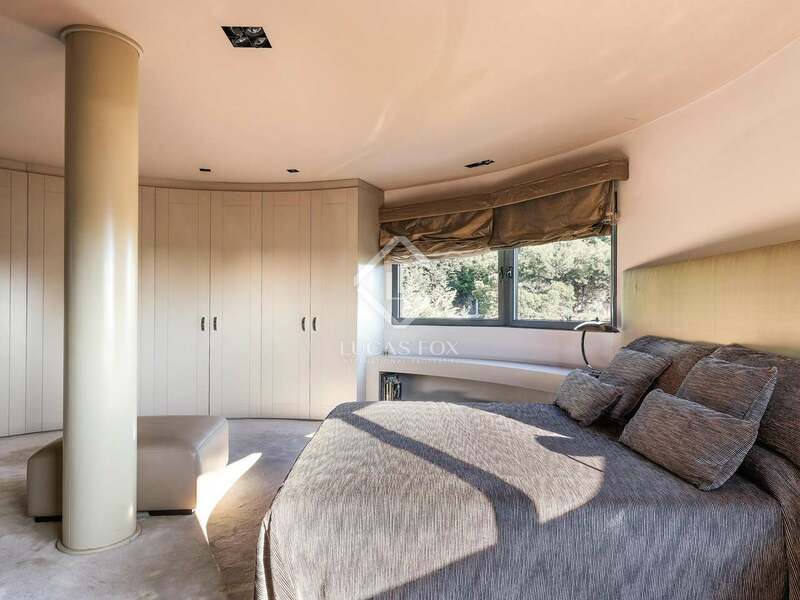 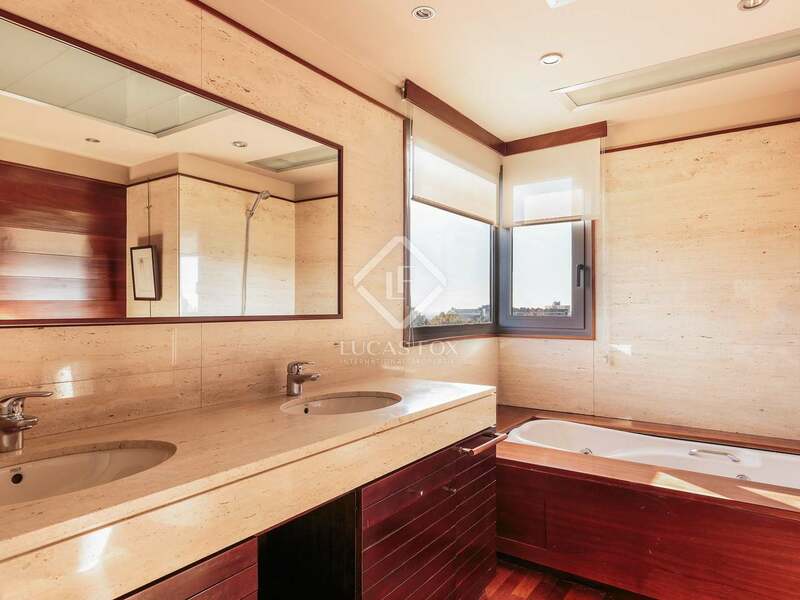 The top floor has an impressive en-suite bedroom of 60m² with a fireplace and dressing room. 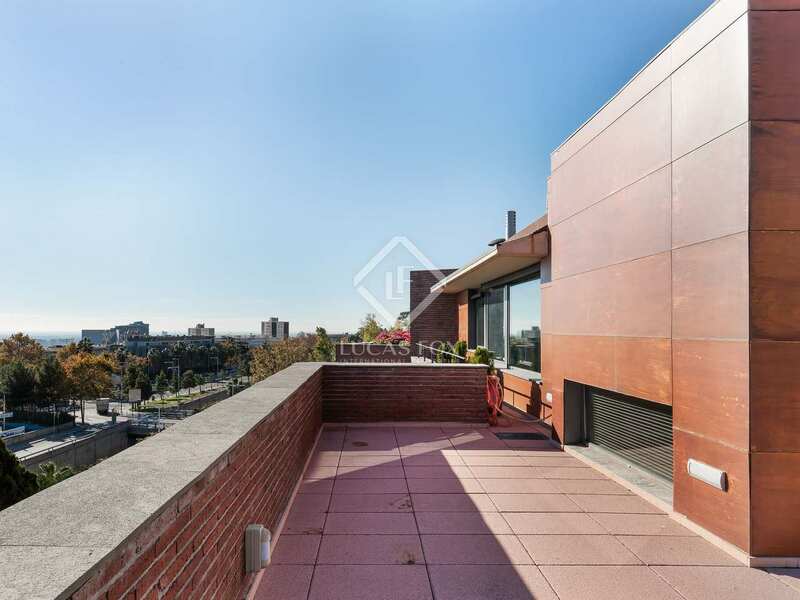 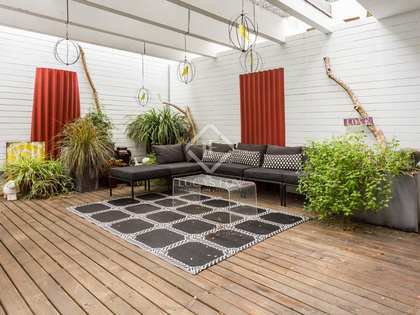 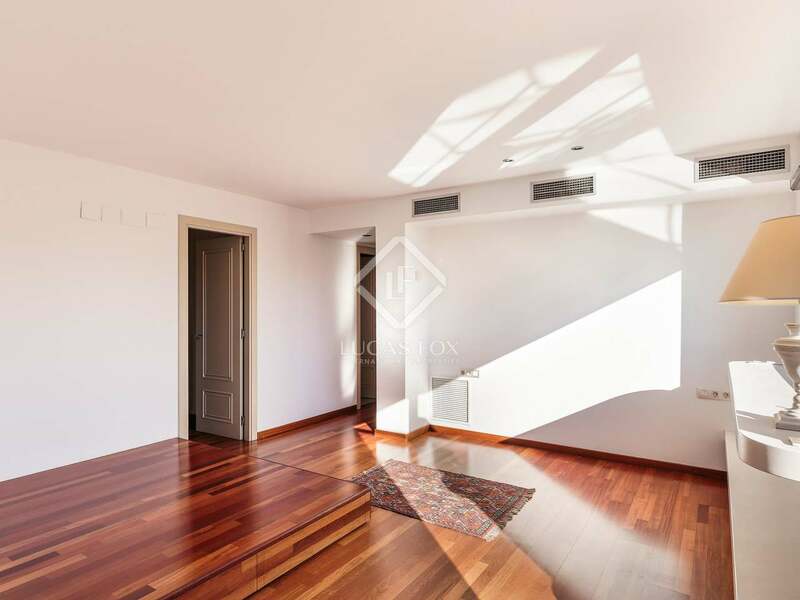 This top floor also exits onto a large terrace (approximately 60m²) with excellent views over the whole city. 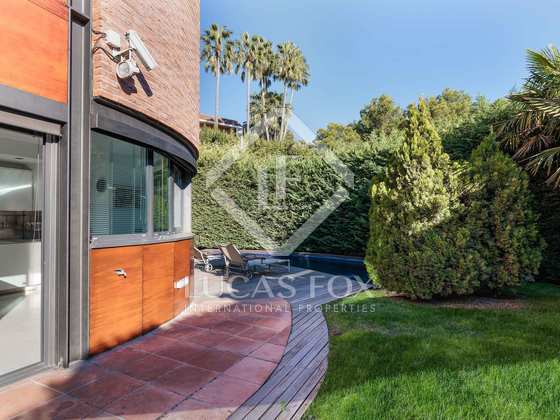 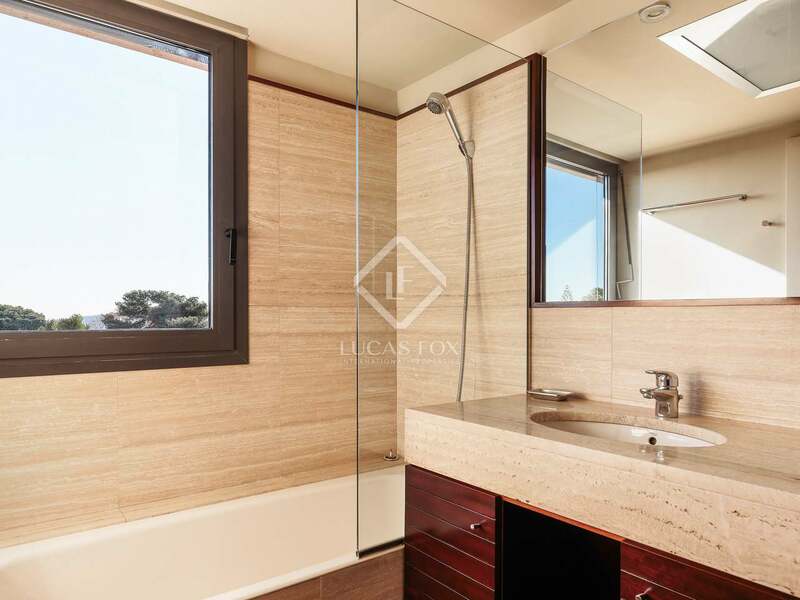 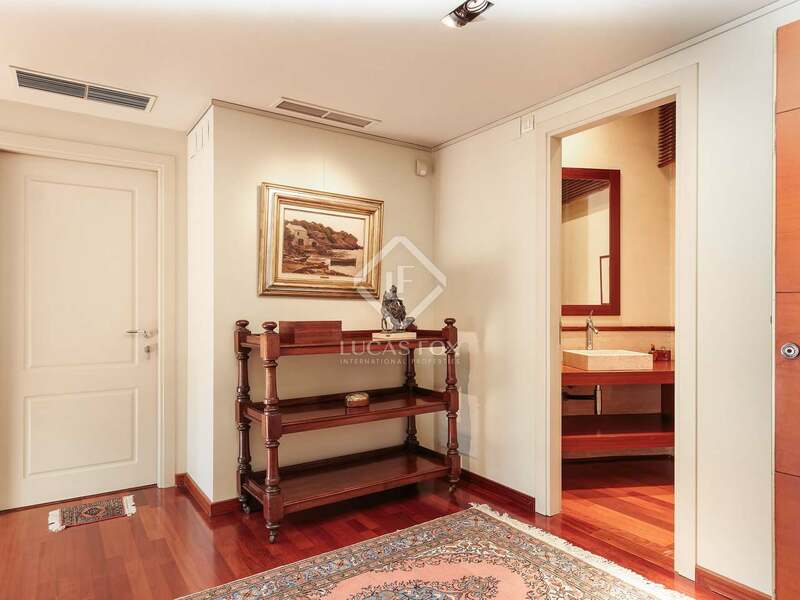 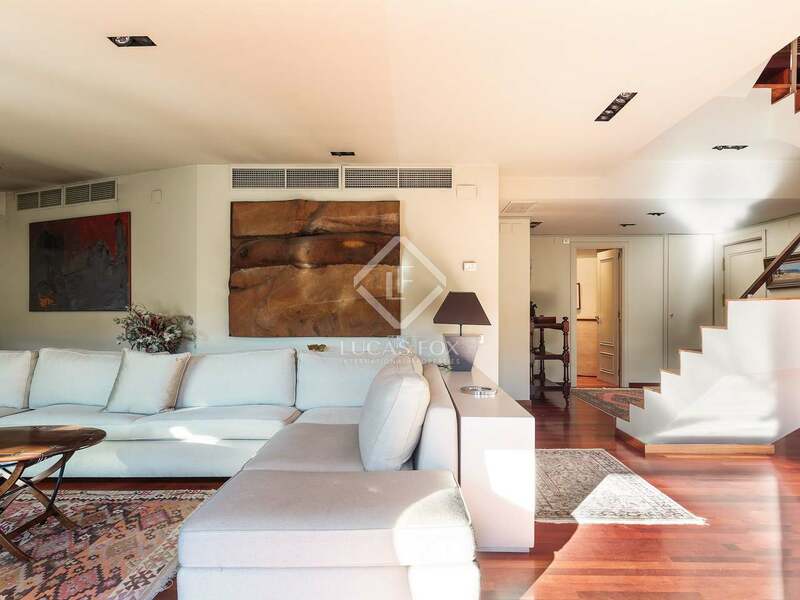 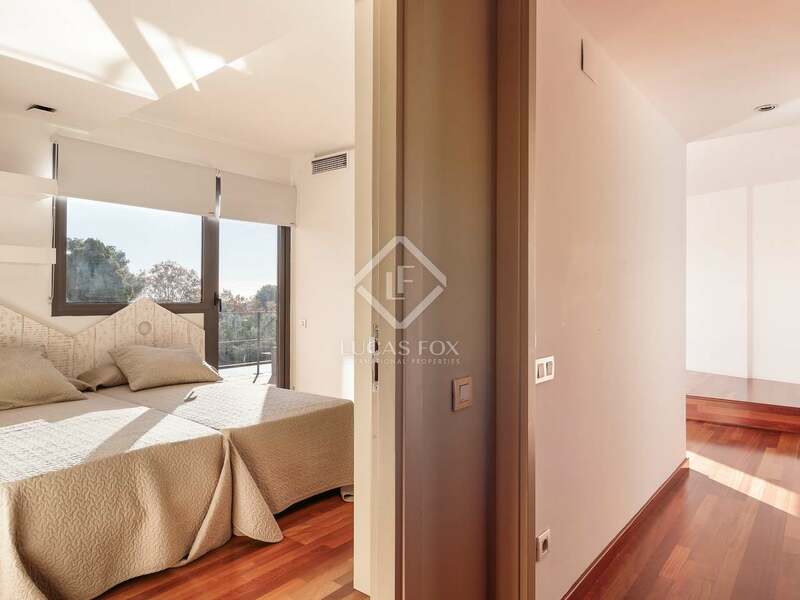 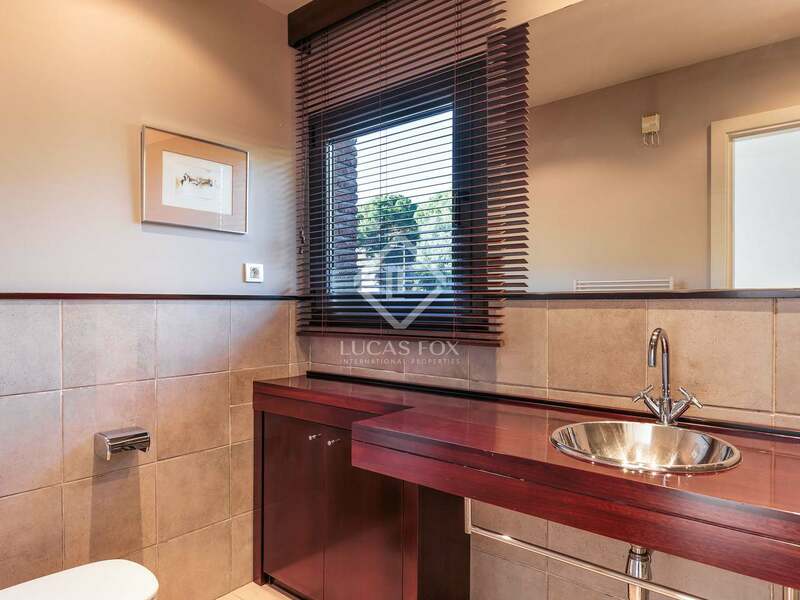 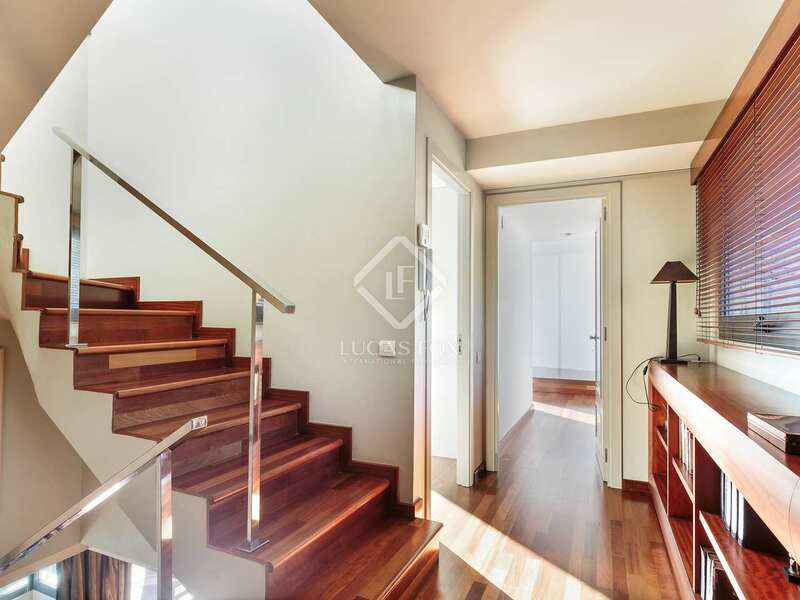 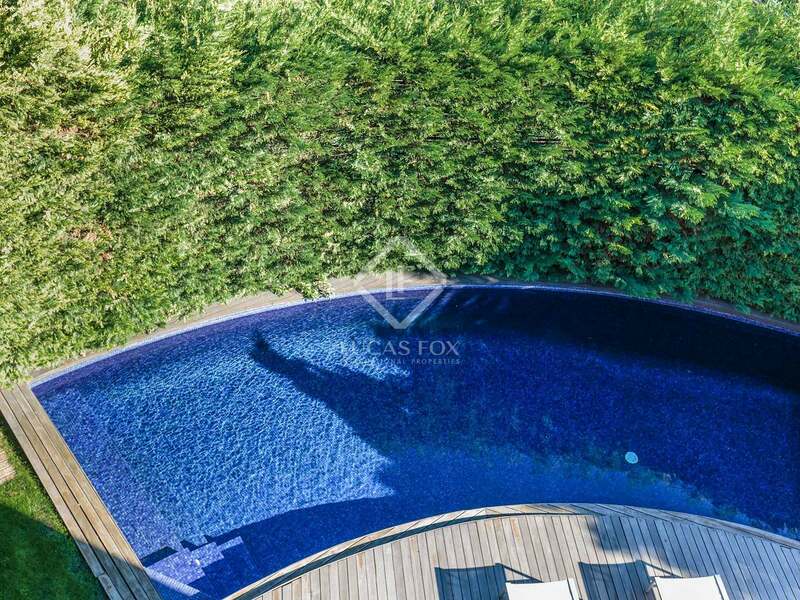 Undoubtedly, a luxury property in the most exclusive area of Barcelona. The area of Pedralbes is the most exclusive area for residential detached properties in Barcelona. 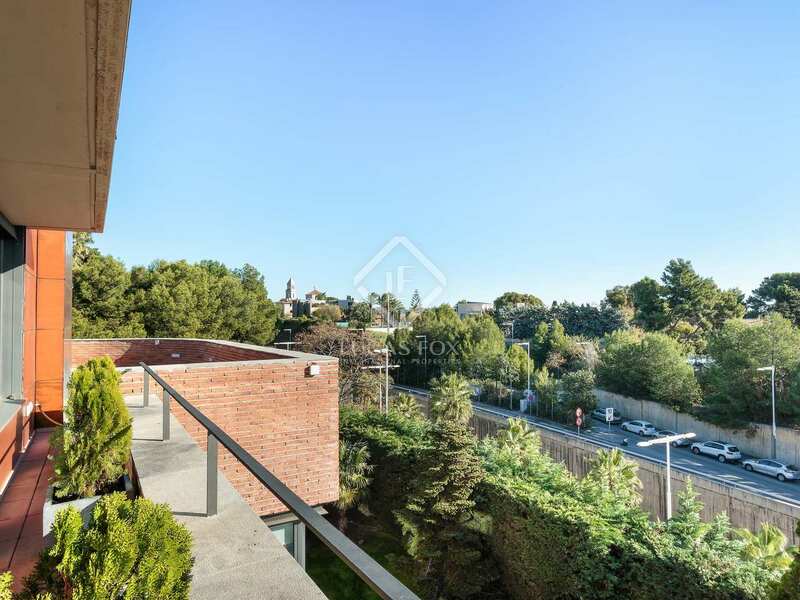 Pedralbes is the only area in the city of Barcelona where you find a limited number of detached houses set on decent sized plots. 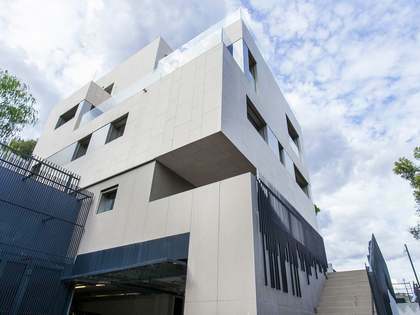 There are several International schools in the vicinity as well as leading local and business schools. 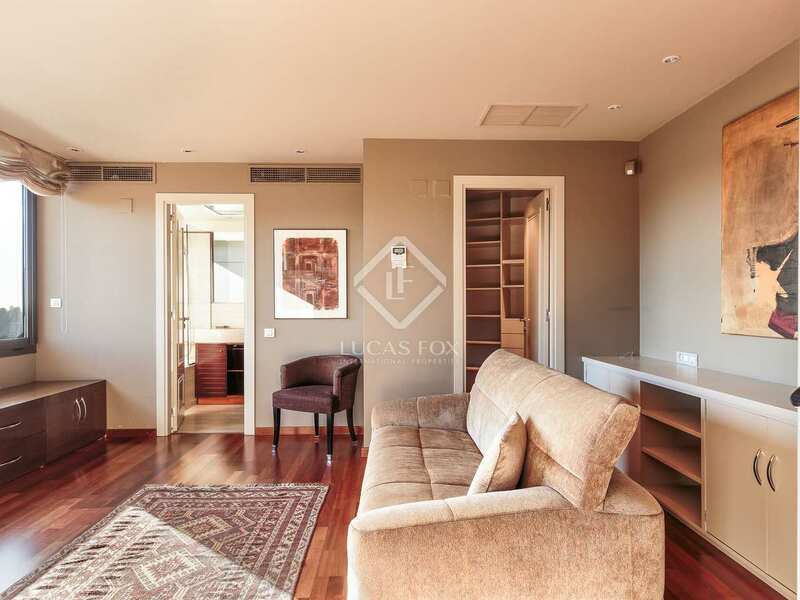 The city centre is just a short drive away and the airport is a 15 minute drive.